This project took place in garden of a new build house so it was a blank canvas. 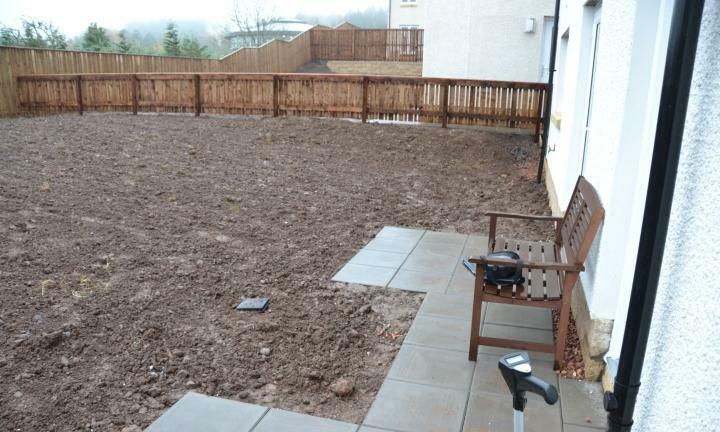 The garden was a good sized blank canvas at a new build property in Perth. 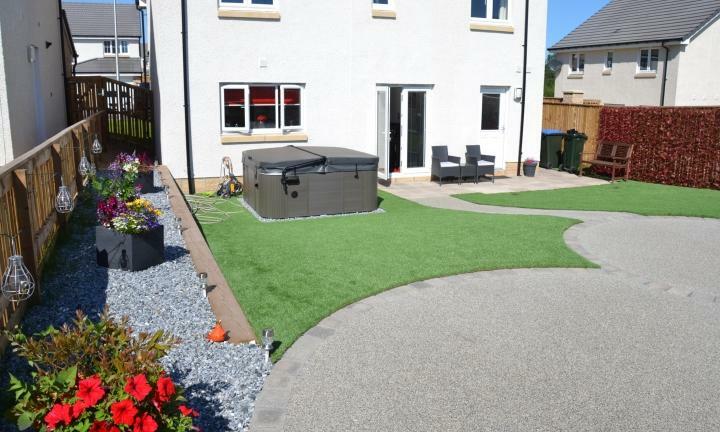 The clients wanted a garden to be designed to include a seating area, hot tub and patio. A design drawing was produced and several different materials were considered for the patio areas. 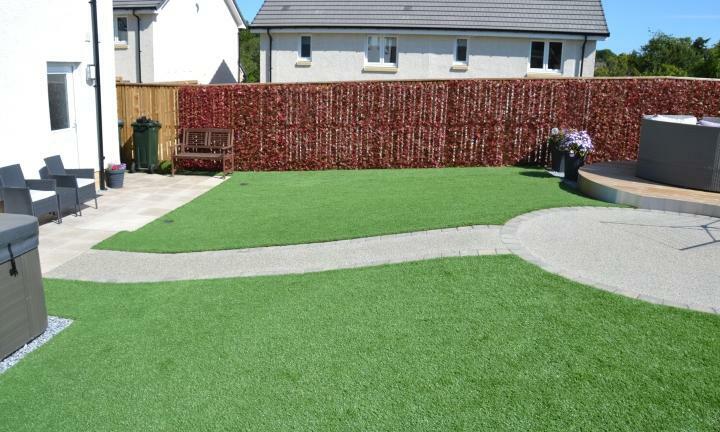 Large area of artificial lawn for low maintenance. A circular deck as an attractive seating area. Two adjoining patios continuing the circular theme with matching path, using resin bound gravel and edged with square tegula blocks. 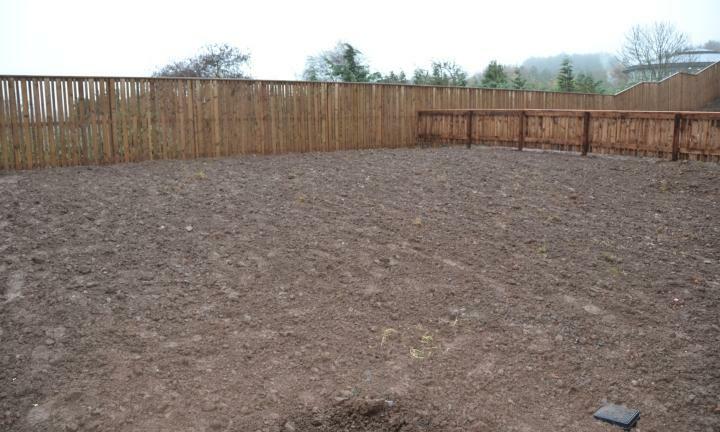 Sleeper retaining wall to create raised bed for feature planting or pots. 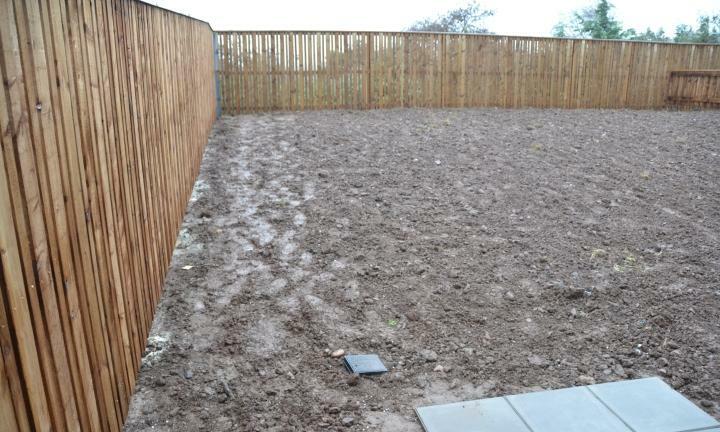 This blank canvas was transformed into a garden with interesting shapes and lots of character. 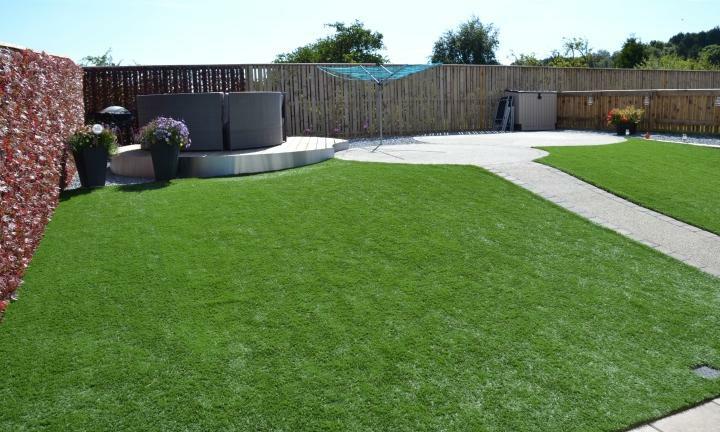 Modern materials such as artificial lawn and resin bound gravel were chosen to create an attractive, practical and low maintenance garden.